This year Helmut Gaensel celebrated his amazing 80th birthday! And how else, but by other activities that are to lead him to the desired Štěchovice treasure. 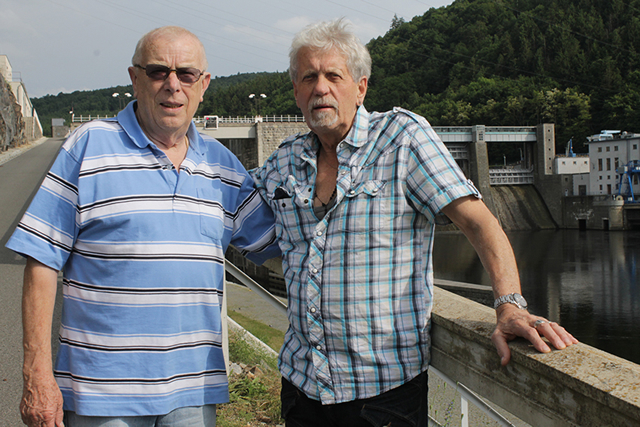 Actual snap took him together with the son of colonel Siegfried Klein during his stay in Štěchovice (more information see the News section). Helmut Gaensel was born in Kovářská village in 1934. Kovářská township is situated on the ridge of Krušné hory in the valley of the stream Černá voda in Chomutov district in Ústí region. The picture shows Gaensel’s birth house. Both of hisparents had musical talent – although his father Franz earned his living as a Chamber decorator but at the same time he also actes as the conductor of the orchestra in Chomutov. There he met his future wife Marta, who sang mainly in various cabarets. Most of the war years Helmut Gaensel spent in Prague with his mother only and he also followed her at the expulsion to the saxon village Neue Schleuse. From there, he secretly returned to his grandmother to Kovářská who was not affected by the transfer and after complicated peripeta he succeeded to stay with her forever. In 1949 he began to work as a miner in Jáchymov uranium mines. 1954 – 1956: Military service with the 60th battalion PTP Mošnov near Ostrava. 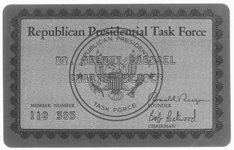 In 1959 he was convicted of espionage against Czechoslovakia. But the judgment is fictional and the goal is to get Gaensel close to colonel Klein who is being held in Valdice prison. Gaensel promised Czechoslovak authorities to assist in obtaining information that would lead to finding Štěchovice treasure. After two years spent alongside Klein for several months, however, an explicit result is stil absent. 1964 - Colonel Klein was released from prison and deported to Germany. 1964 - 1968 Helmut Gaensel begins to live the life of an adventurer. In the service of the Czechoslovak authorities he is shuttling between East and West (works as a Prague link), helps with the return of German prisoners off Czechoslovakia and in exchange he receives all sorts of information. 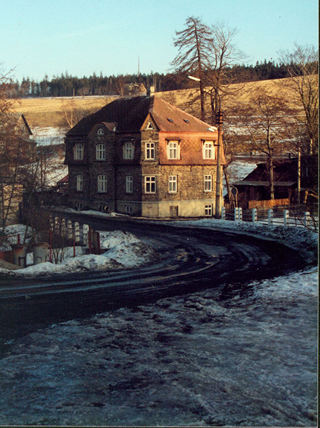 1968 – The first major attempt was to be undertaken to unearth Štěchovice treasure. The date 21st of June was missed but it was shifted to September. After the occupation of Czechoslovakia by the Soviet Army Gaensel rested in Germany where he currently acts. In the same year he goes to Brazil, where he co-operates with German war veterans and opens gold mines here. He established the company of Gaensel Gold Mines. 1977 – Witnin the context of the Persian carpet he helps the US CIA actions to defeat Iranian illegal trade with uranium. Those days US president Jimmy Carter gives him his thanks. 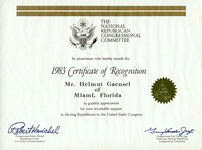 In the coming years he co-operates particularly with American Republicans and receives many recognitions, for example from the president Ronald Reagan and the foreign minister Alexander Haig. In the following years he is undertaking in the mining industry, particularly in developing mining in silver mines in the American Salt Lake City. He is also involved in the gold mines in Bolivia and silver mines in Montana and Colorado. 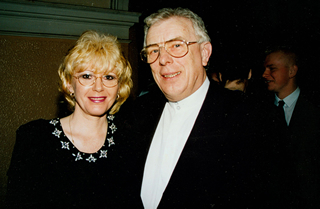 1990 – He returns to Czechoslovakia to continue the search for the Štěchovice treasure (more information in other sections). 2003 – He got married, his wife's name is Laďka Gaensel. 2014 – He continues in search of Štěchovice treasure and Amber Chamber, celebrating his 80th birthday, which some media also detected. I doubted that more convoluted secrets and at the same time more than a story Štěchovice treasure would be found in the Czech Republic. Is there at all a well fed chimera? After all, looking almost continuously since 1946, luck around Stechovice tested perhaps hundreds of searchers, in some places the country is drilled like a swiss cheese. Common mattocs were used, but also drilling rigs, some shafts were of mine parameters, georadars and helicopters were used - and the result? One perfect but a great media seized NOTHING! 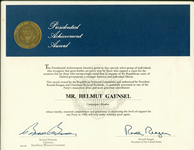 Most diligent searcher for all those decades was undoubtedly Helmut Gaensel. He was born in Kovářská village near Chomutov in 1934 in a German family and in these days he celebrated his eightieth birthday in full strength. We balance along with him. All the madness began on February 11, 1946, when a group of American soldiers arrived to Štěchovice. Without the knowledge and permission of the Czechoslovak offices they opened until then unknown stole, they unearth here crates with a part of the K H Frank archives and shift them to Germany. At that time, the interior in their hands the Colonel Emil Klein, former commander of SS sappers school in Hradištko near Štěchovice. Immediately he is interrogated and suggests that there in the underground around the village could be more. But he is not more presise. Defence minister Alexei Čepička creates the areas as of military training places and digging begins. In subsequent years also the Ministry of Interior is digging here, the last works by the old regime were organized by an arms dealer still around November 1989 - foreign trade enterprise Omnipol. 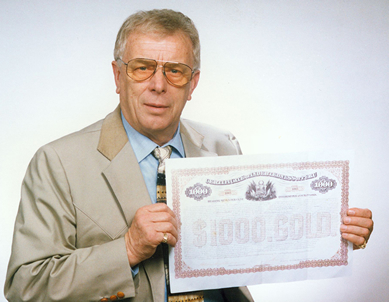 In the nineties enter Helmut Gaensel, Josef Mužík and a myriad of other searchers, including for instance the actor Ondřeje Vetchý, and some of them try this luck still today. I do observe their activitiesed as a journalist throughout those twenty-five years. The legend of the treasure has directly a luxury background: something – in the Frank's stole – relly there was someting found. During the war local inhabitants were evicted from there and a German military space was created here - none of us could know what was going on there. Indeed, something could be hidden here - the famous Amber Chamber and other things are still mising. 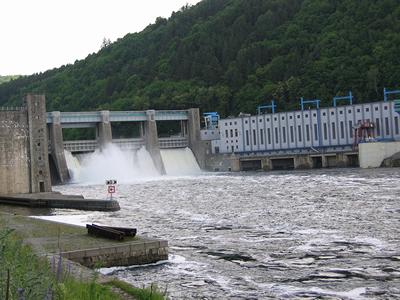 Engineers settled here, there are old mine works here, Štěchovice dam was finished during the war - ideal place to play hide and seek. 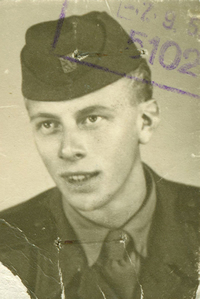 And finally: Helmut Gaensel knew Colonel Klein for his incarceration here and in the subsequent contacts after Klein's departure to Germany. No one could concieve better arrangements for storage of this treasure. Over the years I crawled around Stechovice with various seekers crisscross, crawling underground, looking at historical pictures and most often still asking Helmut Gaensel the same question: "So when the reasure will be out?" And in an imperfect Czech, I still received the same answer:"Just, just, Mr. Cech." The most famous seeker believes in Štěchovice treasure even in his eighties and still hopes that if someone finds it, it will be just him. But after all, he is opening a door in case the treasure was still a fiction: "And if I found it, so also the years of search were worth it," he says. And I believe him.